DIMOREGALLERY participated in BEIRUT DESIGN FAIR, dedicated to collectible and limited edition contemporary or historical furniture and design objects. 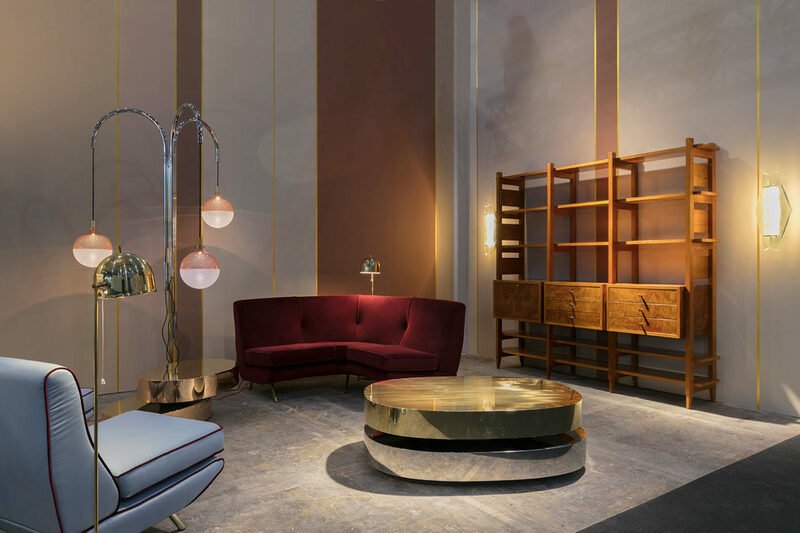 The exhibit space exuded Italian elegance, combining muted pink hued walls and gold detailing with a sophisticated mix of historical and contemporary pieces. 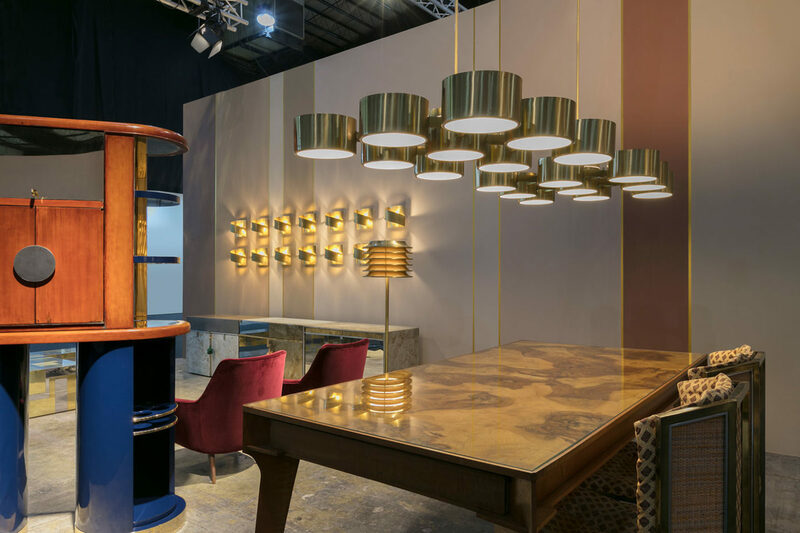 Furnishings and lamps created by renowned designers from the past century were presented alongside pieces designed and manufactured by DIMORESTUDIO. 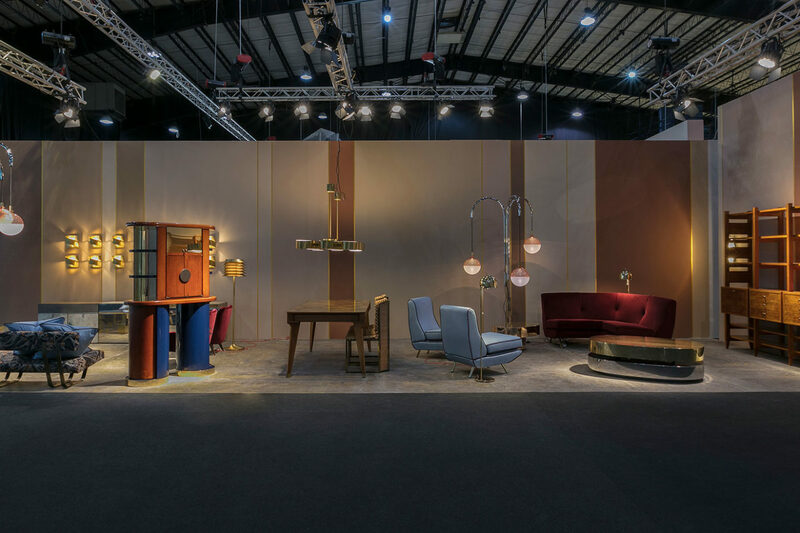 Museum quality pieces showcased included a briarwood bookcase and armchairs by Giò Ponti; a sofa upholstered in burgundy velvet and two armchairs in light blue satin and burgundy detailing by Marco Zanuso; a Cityscape low table by Paul Evans; and two Scultura tables by Gabriella Crespi. One of them is oval-shaped and made of steel and brass, whilst the other is a smaller version made of bronze and brass. Both are DIMOREGALLERY exclusives. Lighting sources were represented by two 1930s wall lamps made of Murano glass, 1960s wall lamps by Peter Cesling and two brass pendant lamps by Hans Agne Jakobsson. Furnishings from the Progetto Non Finito collection designed by DIMORESTUDIO comprised sofa 010 with oxidised brass structure and padding in polyurethane foam upholstered in Iris Field; a flower pattern fabric part of the Progetto Tessuti collection; three Cabinets 085, 086, 088 coated in metal sheets and internal in glossy lacquered wood; floor lamp Lampada 092 and ceiling lamp Lampada 093. 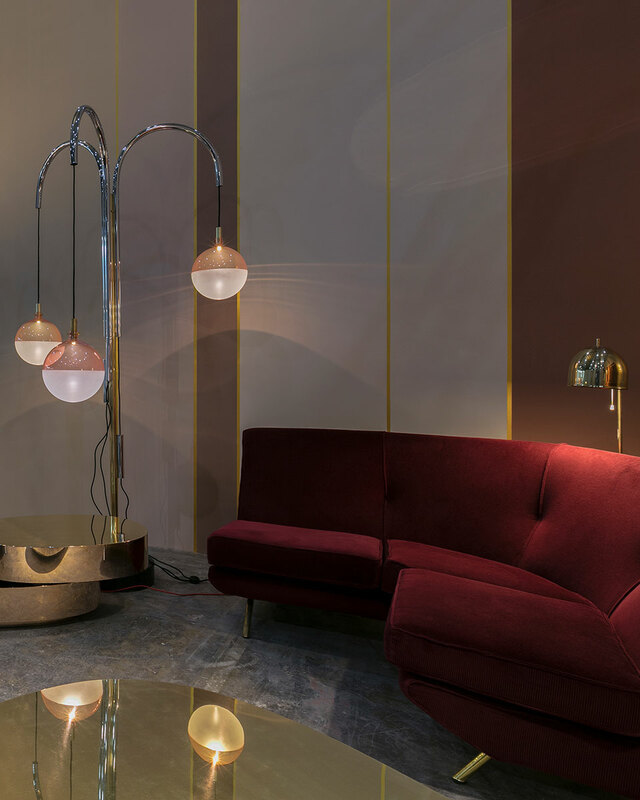 The two pieces lastly mentioned are made of polished brass, featuring bended chrome tubes and adjustable spherical lampshades in glass, which are half colored and half sandblasted. The set up also included the Bar cabinet part of the Limited Edition collection designed by Emiliano Salci and launched in 2018. Made of glossy lacquered wood, with handles in brushed steel, it features revolving bases with internal shelves and details in polished gold-plated brass. “We were delighted to participate in this new fair, bringing key design pieces to one of the world’s most fascinating cities and a vibrant center of creation. Through the juxtaposition of contemporary and historical aesthetics, the event was naturally in line with our identity and know-how.” said Britt Moran and Emiliano Salci.